Australian GPs reveal why they are risking their reputations by diagnosing patients with Lyme disease—from bacteria that are not even supposed to be in Australia. The treatment, high-dose antibiotics, is alarming health authorities and the nation’s chief medical officer has formed an advisory committee to look into this controversial disease. Di Martin investigates. A true tropical Bullant (Mymecia sp). These primitive ants are common in south eastern Australia, but a few species reside in the tropical north. I found this one last night at Mount Hypipamee, at an elevation of around 1200 metres. This ant was around 30mm long. They have enormous mandibles and a powerful sting. Call TC’s to Solve your Pest and Termite problems today. If you notice Termite Activity follow these Three Initial Steps:1. Do NOT disturb the Termites or Mudding tubes/nest that you have located. (If you have already disturbed them then put things back the way they were and cover the area with an old damp towel/cloth). 3. CONTACT TC’s Pest & Termite Management on Mobile: 0419 819 142 to arrange an inspection by Colin, our qualified & experienced Timber (Termite) Pest Expert. 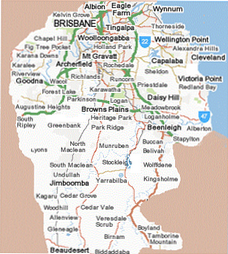 Servicing areas throughout Brisbane(City / South), Mount Gravatt, Rochedale, Daisy Hill, Logan, Beenleigh, Tamborine, Beaudesert, Jimboomba, Greenbank, Browns Plains, Springfield Lakes, Redbank Plains, Goodna, Forest Lake, Calamvale, Sunnybank, Parkinson, and surrounding area’s.